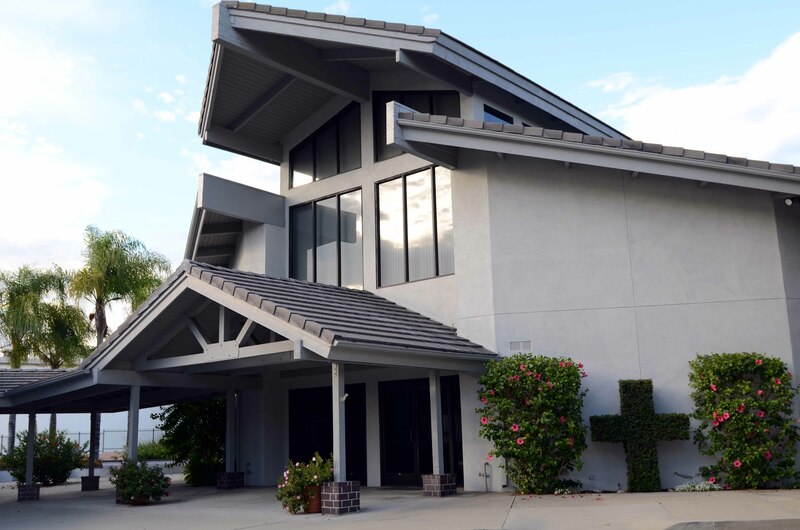 Our current facility, on the corner of Sunflower Avenue and Badillo Street in Covina, CA, was completed in 1989. The interiors of both the Sanctuary and the Fellowship Hall were renovated in 2012. Our Sanctuary Building seats approximately 350 people including 275 on the lower level and 75 in the balcony. The Sanctuary was designed around a concept of “height and light” and therefore high windows placed in a double-stepped ceiling became a key design element of the building. The interior volume overhead was intended to give a person a sense of sacred space and the presence of God. The facility was intentionally constructed without ornate flourishes such as stained glass or stone carvings and thus is a reflection of the humble outlook of our congregation. Our Fellowship Hall has a full kitchen with a 2000 square foot seating area (40 ft. x 50 ft.) It has a 25 foot vaulted ceiling that was intended to continue the theme of height found in the Sanctuary. The Fellowship Hall also houses our classrooms and staff offices. Our church is currently working towards adding four classrooms to the Fellowship Hall. Any donations towards this goal would be greatly appreciated.